'Beauty Comes With Age' is an innovative textile project that contributes to sustainability in the textile and fashion industry. In collaboration with the Textile Museum Textile LAB Tilburg, a multi-layered fabric is developed to show hidden layers when it wears out. 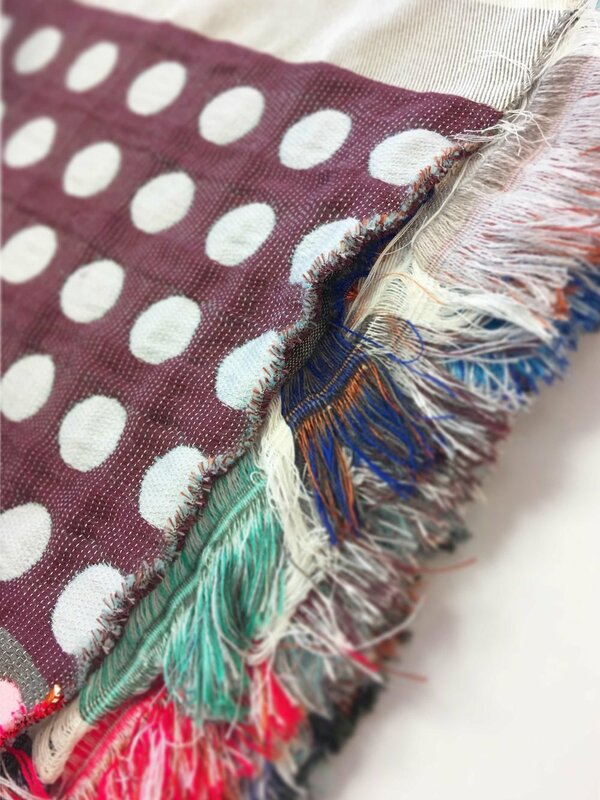 This feature allows the textile, instead of being discarded, to be cherished because of the damages that will gradually show their richness over time. In this textile project multi-layered fabrics are developed in a counter-reaction to the modern day consumer and disposal society. By allowing the material to age the user can develop a personal bond with the product, leaving a history with every scratch. but also more sustainable. The goal is to again create durability by revaluation. Currently I am developing the textile into a unique textile product, planned to be launched soon!